The 2012 Topps Star Wars Galactic Files chase just got a little more interesting. 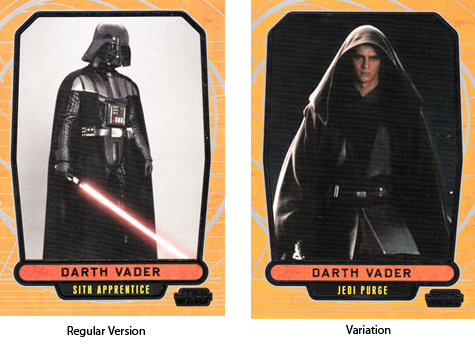 For the first time ever, a Star Wars trading card base set has intentional variations. Three cards have two different versions. Each has a separate picture and caption. 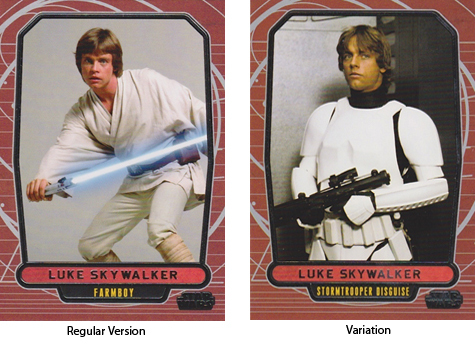 Although Topps has not confirmed insertion rates, the variations are noticeably rarer than the regular versions. Short print variations have been used extensively in sports releases. Traditionally, base set variations command solid additional value for box and case breakers. 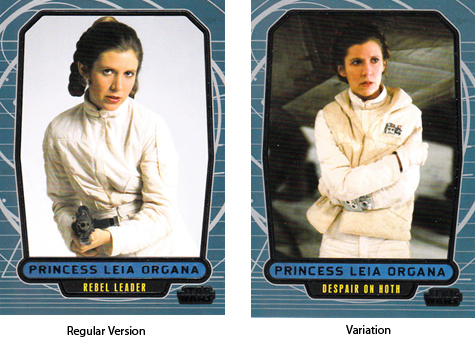 We have checked in with Topps to confirm both the final variations list and insertion rates. We'll be sure to pass along any additional information we receive.